The most important objectives of financial statement analysis are to provide decision makers information about a business enterprise for use in decision-making. The decision makers are the major objectives of financial statements. They are concerned with evaluating the economic situation of the entity and predicting its future course of action. Below is the list of top financial statement objectives and purposes. The primary objective of a financial statement analysis is to depict past performance. Future performance of the organization is obviously dependent on past performance. On the other hand, the other objective of a financial statement is to depict the current position where the business stands in the present scenario. It may show the types of assets owned by a business and the li­abilities due against business entity. The other objective of the financial statement analysis is that it also explains the cash position and the mix of debt and equity available with the organization. An investor or creditor is always keenly interested in the trend of sales, net income, expenses, cash flow and organization’s return on investment as a whole. These trends are very helpful for judging management’s past performance and thus serve as possible indicators of future performance of the entity. Assessment of Past Performance and Current Position is very crucial for financial transparency required by various decision makers. The objective of the financial statement analysis lies in predicting the earning prospects of net income. The other objective of the Financial Statement is that it also objects to judge the growth of the business. Financial statement helps in planning and forecasting. Financial statements help the management to adopt an appropriate business policy by making requires comparisons among various peer organizations. It helps in forecasting and preparing budgets by providing information regarding the strengths and weakness of the business. Thus the importance of financial statement analysis to management is that it helps in communicating with different parties about their financial position. The CFO refers to financial reports to make dividend-related decisions. He would look at the profits made, the debts to be paid off, the provisions made for reserves and decide the dividend to be distributed. By comparing data of two or more years of business entity, a growth trend can be concluded. For example, if there is an increase in sales with an increase in profits, it can be concluded that the business state is healthy. Investors while comparing investment alternatives are considerate for the risk or uncertainty associated with business’s expected return. The other objective of the financial statement analysis is that it helps in assessing such risks. The objective of the financial statement analysis lies in keeping a track regarding the solvency of the business. It helps in predicting the bankruptcy and failure probability of business enterprises. The capacity of the entity to repay its short and long term liabilities must always be known. Both managers and investors can take preventive measures to avoid or minimize losses so that solvency is maintained. Corporate management can bring changes in operating policy, financial structure or other required changes can be incorporated. 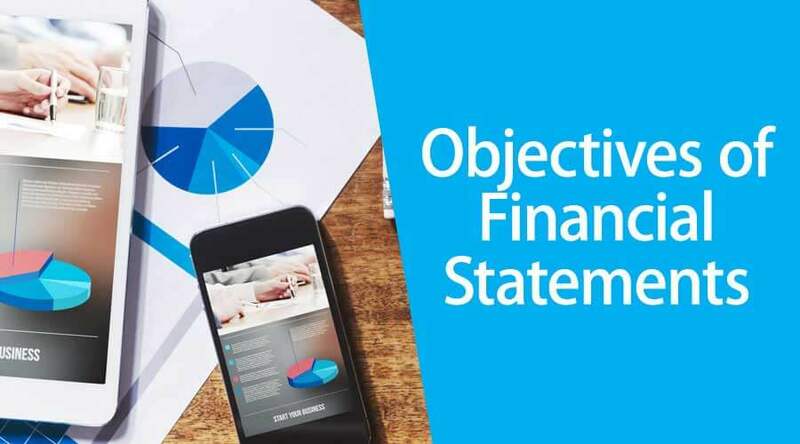 The objective of financial statement analysis is to provide various important information required by stakeholders so that they can take various economic decisions like the one about the financial position of the enterprise. Financial institutions like banks and other lending companies use it to make loan decisions or other credit decisions. It helps to decide whether to grant working capital, extend debts such as a long-term loan or debentures to finance expansion and other expenditures or not. If yes, financial statement helps in determining credit risk associated, deciding terms for the lending and conditions of loan like collateral, interest rate, and maturity date. Thus, creditors use financial reports widely to assess the creditworthiness of the organization. Prospective investors use financial reports to assess the viability of investing in a business. Financial analysis are often used by investors and are prepared by professionals like financial analysts, thus the importance of financial statement is that it helps them in making investment decisions. Financial statements are a critical factor to ensure that the actual financial picture of the business is presented to management and external stakeholders as it not only open a window for known and educated decision-making and strategic planning for stakeholders but financial statements also aims at mitigating errors that may arise due to discrepancies of numbers in various financial statements. Understanding the basic financial statements is a necessary step towards the successful management of an enterprise. Also, accurate financial statements induce trust in the company. Building trust is also a very crucial objective of financial statements.